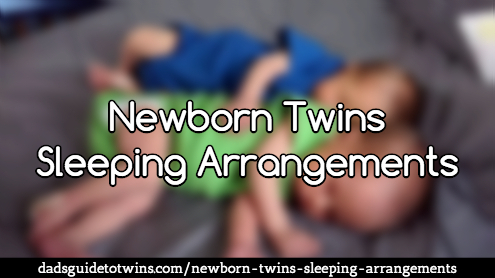 I’ll tell you the current newborn twins sleeping arrangements recommendations that the American Academy of Pediatrics has, and then I’ll tell you what we did. You’ll see some similarities and some stark contrast. The current recommendation for newborn twins sleeping arrangements is that there should be nothing at all in the crib, except for your one baby, and what that one baby is wearing. 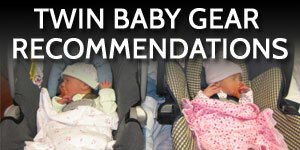 This of course, is to reduce the risk of Sudden Infant Death Syndrome. You want to make sure that there are no blankets in the crib, no stuffed animals, and no bumper pads on the crib. Make sure that the crib mattress sheet is snug, and fits tightly. 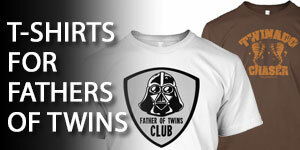 Ideally, twins would sleep in their own cribs, as well. 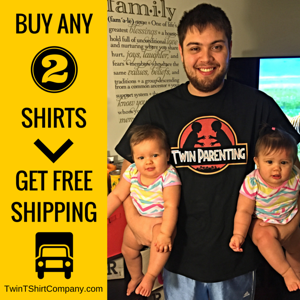 So that being said, I’ll tell you what we did when our twins arrived. Both of our twins slept in the same crib, for several months, before we ended up separating them into their own cribs. They had bumper pads in their cribs. We’d swaddle them as newborns, and then we’d cover them both together with a single blanket. They have shared a room their entire lives. So this pretty much sounds the complete opposite of current recommendations that you may get from your pediatrician. And so it reminds me of when I was a kid, and kids never seemed to wear seat belts in the cars, right? And now we know that everybody needs to wear a seat belt. The same situation is here with your newborn twins sleeping arrangements. You want to be as safe as possible and care for them. Follow the current recommendations that you’re going to get from your doctor. 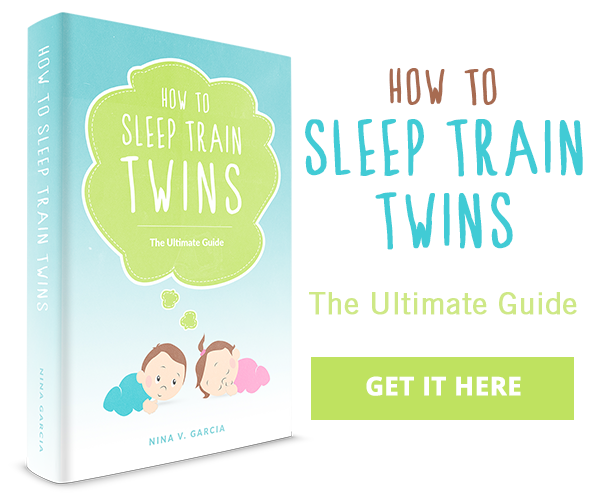 I recommend that you talk with your pediatrician about sleeping arrangements for your twins, and the specific actions that you should take. 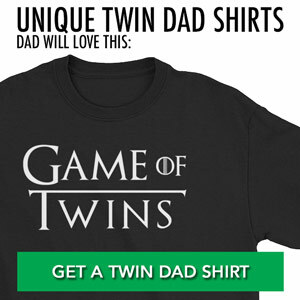 But if you want to be absolutely safe, make sure that each twin is in his or her own crib, and that they are free from any other items in the crib with them. 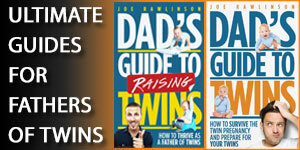 I talk more about the challenges of getting your twins to sleep in Chapter 5 of my book, the Dad’s Guide to Raising Twins: How to Thrive as a Father of Twins.